The existing stadium at MICDS was approximately 50 years old, and past the end of its useful lifespan. In addition, the natural grass field was causing significant weather-related downtime. 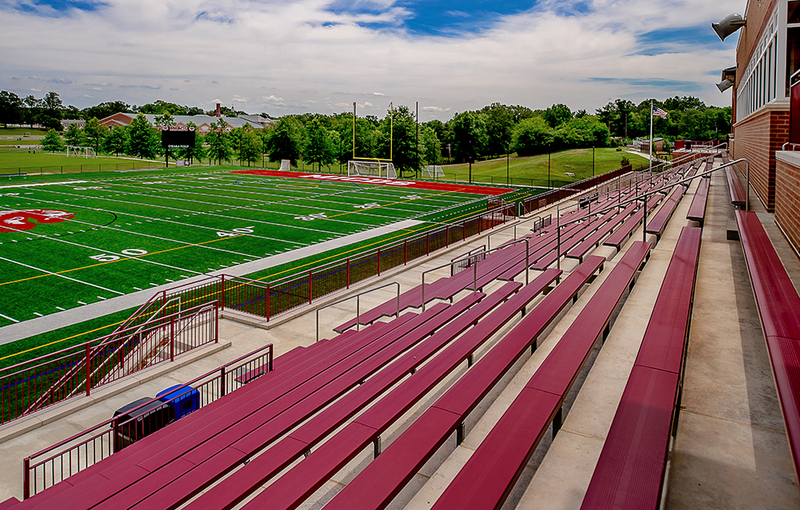 Hastings+Chivetta was engaged to develop a new stadium complex that allows the school to strengthen their athletic program, enhance the regional presence of the school, reduce downtime and maintenance requirements and offer increased seating capacity. 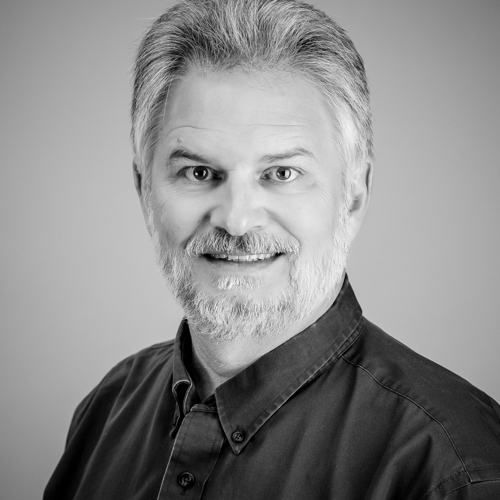 The new Ron Holtman Stadium is an open-air multi-purpose stadium that accommodates 1,000 fans. 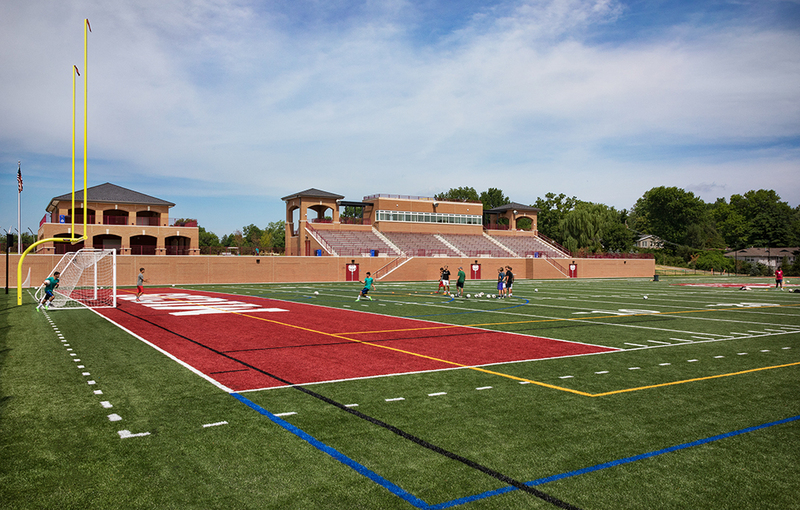 The stadium is equipped with a synthetic field that is striped for soccer, women’s lacrosse, men’s lacrosse and football. The Stadium also features a large press box, locker rooms, training rooms and team rooms for game day. The grandstand has open stairwell towers at each end. A separate Pavilion is adjacent to the Stadium and contains toilet facilities, concessions and an upper patio for watching events. The gameday experience rivals that of any small college stadium. The turf field means decreased downtime and maintenance requirements compared to the old grass field. Built into a hillside, the facility takes advantage of the slope for the grandstands. The configuration allows students and spectators to enter the stands from behind and the team rooms are at the field level keeping spectators and participants separate. The existing Track and Field Stadium, formerly the football stadium, was rebuilt as the Holekamp Track and Field Stadium and can accommodate 400 fans. 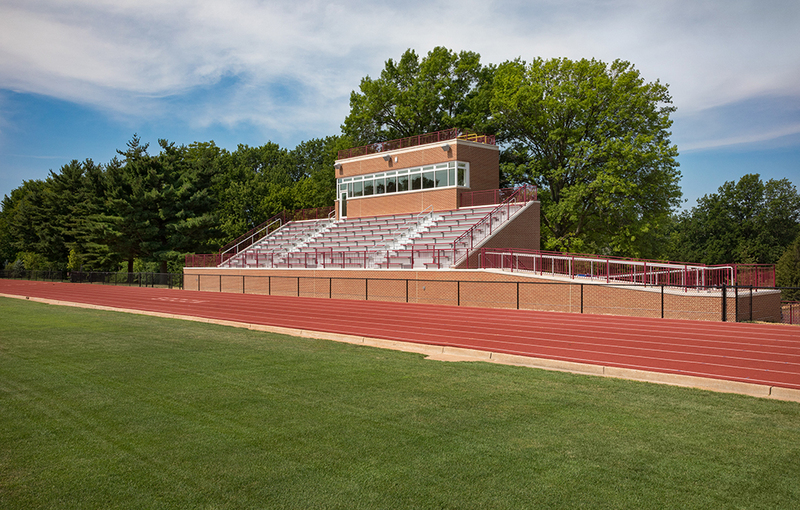 The Stadium is the new home for the track and field team, and includes the addition of a small press box and a new synthetic high jump area in the end zone of the existing track. Designers raised the first row of seats to four feet above the field to allow spectators better visibility. The existing grass field will be used for Junior Varsity practice as well as physical education classes and general recreation. 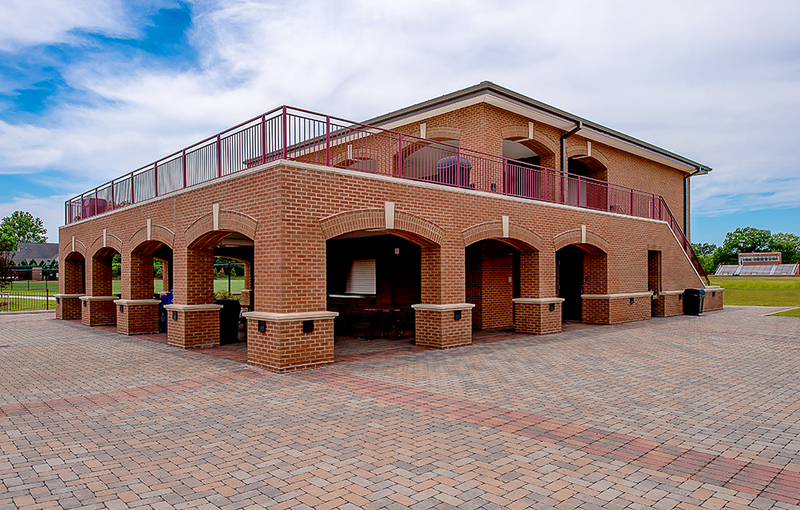 Maintaining the architectural integrity of the MICDS campus was a priority for the school. Hastings+Chivetta’s designers used the well-defined architectural vernacular of the school’s campus to inform the style and material selection for the stadiums. The Colonial style influences the majority of the existing buildings on campus, with a more Traditional style reflected in newer construction, including the newly-built Aquatic Center, also designed by Hastings+Chivetta. 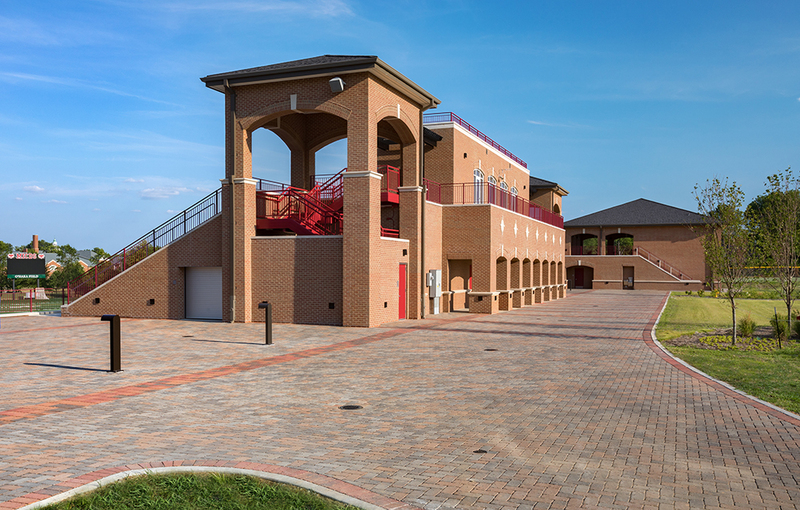 The Multi-purpose Stadium and the renovated Track and Field Stadium feature red brick trimmed with limestone detailing.